This newspaper recently published an article painting Kentucky’s elected jailers in a negative light. As President of the Kentucky Jailers Association, I am responding to let taxpayers know that we are committed to transparency, public safety, and efficient use of public money. First, I do not condone the flippant remarks made by some jailers to the reporters. Kentucky’s jailers are professionals who do their level best to the serve the public. On behalf of all jailers who work hard to serve the public, I apologize for those few who made remarks that diminish the job we do. Second, it is important to know that some jailers did provide information to reporters that was not included in the story. One jailer submitted to several interviews, but the information provided about her job duties was not included. Her information would have painted a more complete picture of what jailers do every day. Third, there are myriad examples of Kentucky jailers finding innovative ways to save taxpayers huge amounts of money. Several jailers, like Joe Blue in Hopkins County, have inmates growing vegetables to save on food costs. In Laurel County, Jailer Jamie Mosley saved $600,000 using inmate labor to refurbish the facility floor, a task which also provided vocational training to the prisoners. And in Oldham County, our inmate work program operates the county’s Recycling Department saving taxpayers $160,000 annually. Fourth, while there are 41 counties that do not have jails, the elected jailers there do have important functions often delegated to them by the local fiscal court. Just because a county does not have a jail does not mean the jailer isn’t incarcerating prisoners. In most cases, the local jailer is operating a “mobile jail” every time they put a prisoner into a vehicle to transport them to an actual facility. Just because the jail has wheels doesn’t make it any less important to public safety. On top of these points, “no jail” jailers have functions as diverse as working dispatch to operating the county government’s IT department and digital presence. Others provide courtroom security and oversee maintenance of county buildings. --We support a nepotism law that would subject the proposed hiring of any relative by a county official to approval by the fiscal court. This layer of oversight would restore confidence that the people being hired to work for jailers and other courthouse officials are qualified for their posts. --We support a law that would require all “no jail” jailers to keep a prisoner transport log, and to present a report to their county’s fiscal court on a quarterly basis. This would restore confidence that all jailers are performing their transportation duties. --We support a law requiring each county fiscal court to adopt a local ordinance specifically outlining the duties of the jailer in that county. These local ordinances will vary from county to county based on local needs. Formalizing the jailer’s job duties will give all taxpayers the ability to see exactly what their elected jailer is doing on a daily basis. The state law could also require an annual report from the jailer to their local fiscal court on how they fulfilled those job duties. In addition to supporting these three changes to state law, the Kentucky Jailer’s Association is going to work with the American Jail Association to adopt an updated “best practices” document, which will be forwarded to every jailer in the state for their adoption. We plan to release that document to the public in the coming weeks. Some will be tempted to “throw the baby out with the bathwater” when it comes to our system of electing jailers. That would be a mistake. Giving voters oversight of positions of public trust is extremely important. There is no higher accountability than facing the voters every four years. Our suggested reforms will modernize the jailer system while keeping in place the check-and-balance provided by the voters. The authority to incarcerate is tremendous; it would be wrong to remove voter accountability from the people who lock the jail cells every night and are responsible for transporting prisoners around the state. Jailers strongly believe in protecting the public and being accountable to taxpayers. We look forward to helping enact reforms that give taxpayers confidence that we are modernizing the system without taking away the vital oversight role played by Kentucky voters. 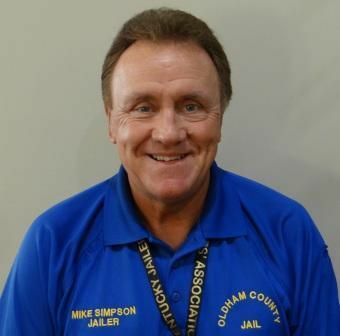 Mike Simpson is the President of the Kentucky Jailers Association. He is the jailer of Oldham County.